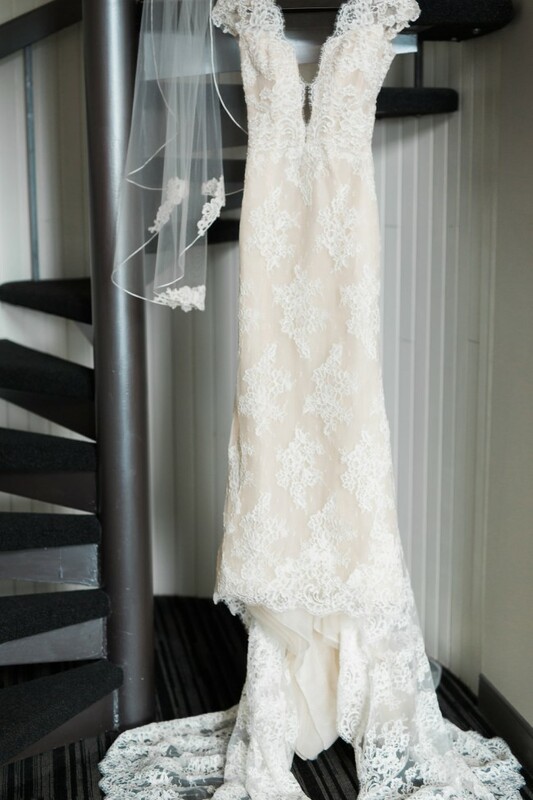 To clarify on the type of material used for the dress: it is re-embroidered lace with layers of organza underneath. Also, if you try and search the dress, you will now find that they have added a peplum on top of the gown - which mine does not have. Preservation: I took my dress to a local dry cleaning spot in Walnut Creek, CA. I was able to keep the dress clean throughout the wedding – no major stains or damages, so there wasn’t a whole lot of maintenance to be done. Since then, I’ve kept it in the original dress bag that I received it in from Bridal Galleria and it has been hanging in my closet. I took in the bust and hips. To give you an idea of what size 10 bridal for Ines Di Santo is compared to what it is after the alterations (size 6), it was originally Bust: 36, Rib cage: 31, Waist: 27, Hip: 39. I had cups sewn into the front of the dress (I believe they were 'A' cups) considering I was unable to wear a bra – due to the V neck in the front and the low back. I also, upon ordering the gown, had the back 'V' raised 3" from the original sample. I also had a hem and bustle.